Xiu Xiu just released today NINA, an album of Nina Simone covers, via Graveface Records. You can stream the whole thing below. Jamie Stewart has a more proper Xiu Xiu album coming out in February on Polyvinyl, titled Angel Guts: Red Classroom, and you can stream the first single, “Stupid In The Dark,” below. Shortly thereafter, Xiu Xiu will be heading on a tour that includes an NYC on March 13 at Knitting Factory. Tickets to that show go on sale Friday (12/6) at 10 AM. Speaking of Xiu Xiu and cover songs, Shearwater recently released a cover of Xiu Xiu’s, “I Luv The Valley Oh!” which if you haven’t heard yet, you can stream below. 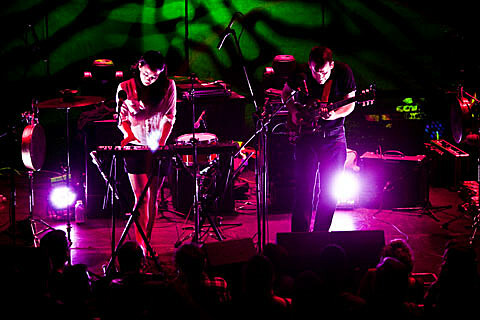 Their tour hits NYC at The Bell House on March 22. Tickets to that show are still available.